Spider-man saves the day by catching the robbers! 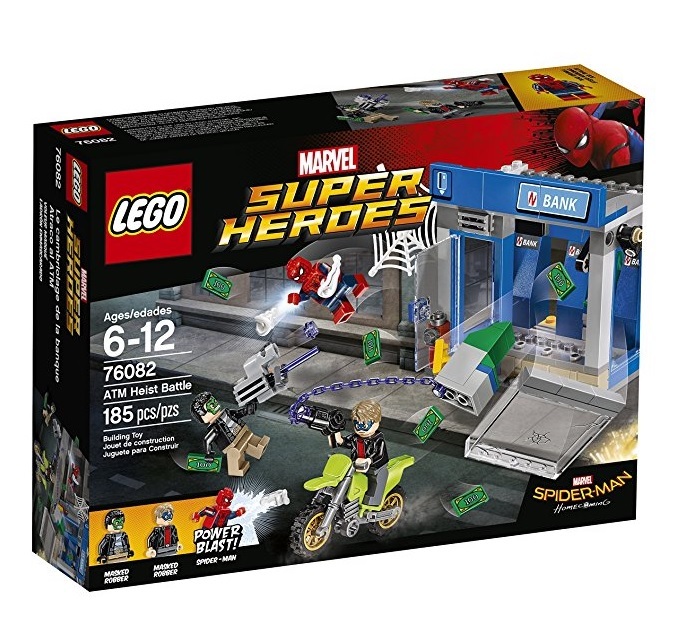 You can recreate an ATM bank heist scene with the LEGO Super Heroes 76082 ATM Heist Battle set. Its currently on sale at $12.99 each (reg.$19.99) which works out to be 35% off. Amazon America also have LEGO Creator 31079 Sunshine Surfer Van on sale for $27.99 each (reg.$34.99). Savings work out to be 20% off.